Lou Fuller Burdeshaw, 83, passed away peacefully at home on Thursday, August 16, surrounded by family and friends. She graduated from Walhalla HS, SC, in 1953 and later took classes at the University of Tennessee Chattanooga where she studied accounting. She was a paralegal for Spears, Moore, Rebman and Williams for 25 years, specializing in wills and estate planning. She was an active member of Rivermont Presbyterian Church for 53 years, where she served as a deacon, taught Sunday School and worked with the youth on Sunday nights. 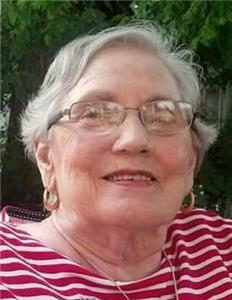 Additionally, with the Rivermont Women of the Church, she served as Treasurer and Circle Leader. She moved to Nashville in 2014 and became an active resident at Park Manor Retirement Community. Lou loved pizza nights and watching football with her grandsons and trips to see her extended family in South Carolina. When she was physically able, she took great pleasure in making sandwiches for Habitat workers, reading, and going to the movies and dinner with her wonderful group of friends. Lou was preceded in death by her first husband, Roy C. Fuller, Jr. and her second husband, James R. Burdeshaw (both of Chattanooga); her mother and father, Kathleen and Roy Williams of Walhalla, SC; and her brother Ronnie Williams also of Walhalla. She leaves behind her sister, Kathy Williams Alexander and brothers, Troy and Byrd Williams, all of Walhalla; her son, Roy Calhoun Fuller III (Cal) and step-son, Charles Burdeshaw, both of Nashville, and her step-daughter Janie Decker of Clearwater, FL; her grandchildren, Garrett and Miles Fuller and Sunny Donnelly of Nashville, Elizabeth Stephens of Aurora, CO, and A.J. Decker of Clearwater, FL; her 6 great grandchildren (Maemie, Eamonn, Catherine and Susannah Donnelly, J.D. and Abbott Stephens) and many caring nephews and nieces. A celebration of Lou's life will be held at Park Manor (115 Woodmont Boulevard, Nashville) in the Blakemore Room at 2 p.m. on Sunday, Sept. 2. Her memorial service will be held at Rivermont Presbyterian Church (3319 Hixson Pike) on Saturday, Oct. 20, at 2 p.m. Visitation will follow the service. In lieu of flowers, contributions may be made to The Rivermont Presbyterian Church Samaritan Fund in Chattanooga, The American Cancer Society, The American Heart Association, Thistle Farms in Nashville or to a charity of your choice. Please share your thoughts and memories at www.chattanooganorthcchpael.com.